May 2018 – The Board of Directors of the Canadian Woodlands Forum (CWF) is proud to officially announce that its flagship event, DEMO International®, will be held outside the Ottawa/Gatineau area, Canada, on September 24-26, 2020. SBC Cedar (SBC) with sawmills in Quebec and New Brunswick will host the event on one of their properties in Venosta, Quebec, located within a forty-five minute drive north along the Gatineau River. . .
DEMO 2016 - A Resounding Success! 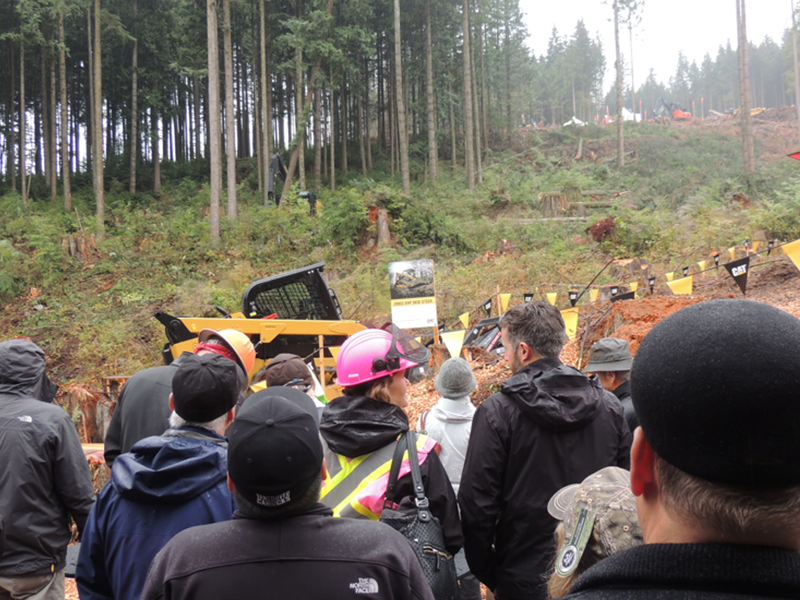 Maple Ridge, BC - The anticipation was a long time coming, but visitors to DEMO International® 2016 were not disappointed as this massive event made its way back to the west coast. A total of 7,366 visitors made their way around the 3.2 km long loop to take in demonstrations and to see the latest products, services and equipment available to the industry. 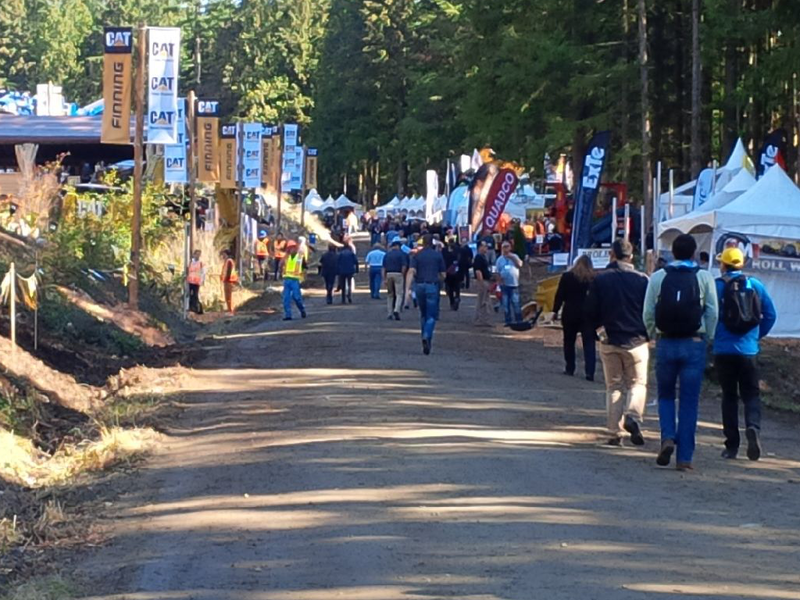 The 13th edition of DEMO International® was a great success, providing over 100 exhibitors the opportunity to showcase their equipment, products and services in a unique forest setting. Overall, exhibitors were very pleased with the numbers and the quality of the visitors. There was lots of positive feedback about the interest exhibitors received from many companies across Canada, USA, and Europe and South America. In addition to the show, the technical conference explored how the adoption of new technologies and innovation is critical and will serve as a catalyst for ensuring a successful and competitive forest sector. The event was co-hosted by the Faculty of Forestry, UBC and the Canadian Woodlands Forum in association with FPInnovations, the Council on Forest Engineering 2016 AGM, and the 108th Annual General Meeting of the Canadian Institute of Forestry. The conference provided the 388 delegates with thought provoking sessions including two plenary and five concurrent sessions providing over 60 presentations from speakers from across North America and overseas. The Canadian Woodlands Forum is now actively at work planning for DEMO International® 2020, so stay tuned for exciting details and announcements in the near future.